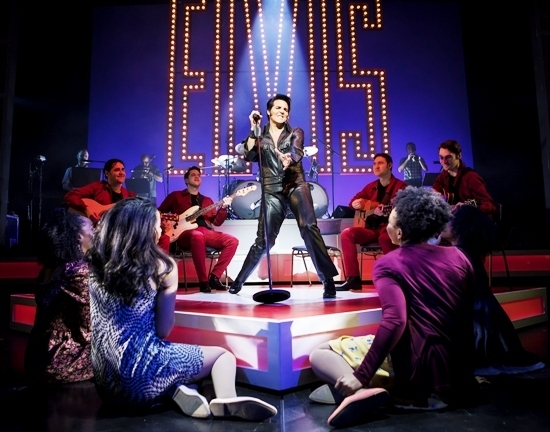 Here's a show to get All Shook Up about! 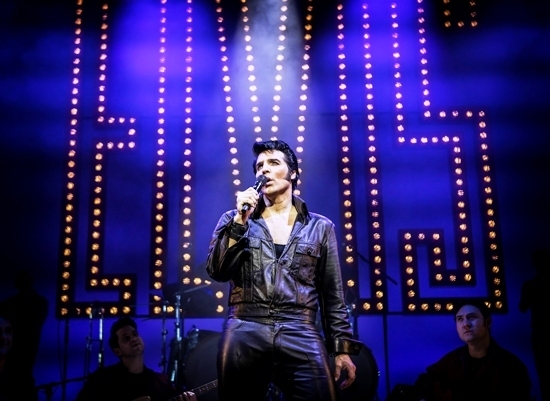 Co-produced by Laurie Mansfield and Bill Kenwright, who also directs, This Is Elvis is packed with classic numbers performed superbly by a brilliant cast. Canadian Steve Michaels looks like Elvis, moves like Elvis – and, boy, can he sing! It also tells a fascinating story. At the beginning of 1968 Elvis Presley was considered a musical has-been. He had spent ten years making movies and last appeared in concert in 1961. It was decided that the singer would make a TV special to help reignite his career. Elvis' manager, Col Tom Parker, said it should be a Christmas show, full of seasonal songs and Elvis dressed as Santa. Producer and director Steve Binder had other ideas and he and Elvis hatched the plan for an intimate unplugged performance of old hits, gospel songs and rock 'n' roll numbers. This Is Elvis begins shortly before the live TV special is due to start, with Binder receiving the news that Elvis had got cold feet and didn't want to perform. 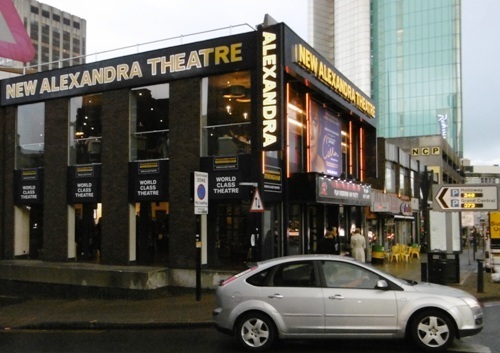 The director says he will go ahead as planned – and there would be blank screens across the country if Elvis refused to appear. He did perform, of course, and the show was a smash hit. We see Michaels as black leather-clad Elvis storm through hits like Heartbreak Hotel, Hound Dog and All Shook Up, laughing and joking with his four-piece band. The success encourages Elvis to consider going back on the road. He tells Col Parker (unseen in This Is Elvis) to organise a 'Return to Roots' tour of country fairs. The Colonel instead books a residency in Las Vegas! Pre-interval, we see Elvis in the rehearsal room of the International Hotel in Vegas, hours before opening night. The King is again wracked with doubt – would the audience laugh at him after so long away from the stage? Female trio The Sweet Inspirations (Chevone Stewart, Katrina May and Misha Malcolm) join him and we are treated to spine-tingling renditions of Oh Happy Day, Bridge Over Troubled Water and Peace In The Valley. The first half of This Is Elvis feels slightly under-stated, almost as if Steve Michaels is not quite in top gear. After seeing the second half, it's easy to understand why. 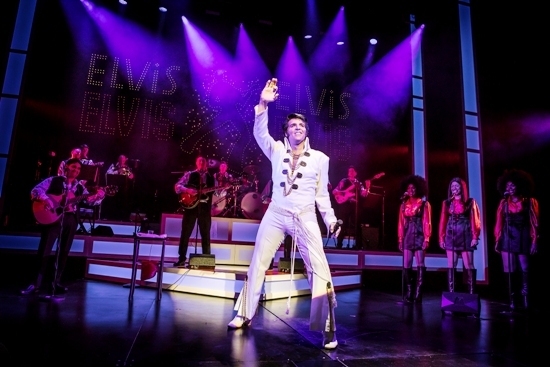 The whole of Act Two is a re-creation of the opening night of Elvis' concert comeback at Vegas' International Hotel and Michaels, wearing a replica white jumpsuit, is sensational. He'd obviously been storing up energy for a rip-roaring finale, complete with a fantastic nine-piece band and The Sweet Inspirations. Kudos also to This Is Elvis' sound guys – it was spot-on. This type of production stands or falls on the leading role – and Steve Michaels towers over all around him. 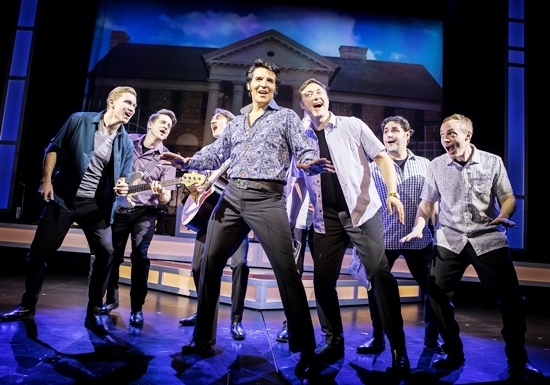 There were just so many musical highlights in the second half – In The Ghetto had the audience cheering, If I Can Dream had them cheering even louder, Suspicious Minds almost raised the roof and An American Trilogy had the crowd on their feet. By the final song, Jailhouse Rock, it really felt like we were being entertained by Elvis himself. Can I pay this show a higher compliment? July 30 - Aug 4: Princess Theatre, Torquay.